One of the Fitness testing ratios people love to throw around in the gym is BMI or Body Mass Index. To calculate your BMI, simply divide your body weight in kilograms with your height in meters squared. “Science” tells me in order to be considered healthy by the “scientific community”, your BMI should be between 18.5 and 25. Should your BMI fall higher than 25, your will fall into the category of “overweight”. If you have more than 30, you will be considered obese. If your Body Mass Index is more than 40, you fall into the extremely obese category, putting you at much higher health risks than most. Ha! So I am overweight? Maybe… check out my photo here, along with Usain Bolt’s. A better way to determine body types and possibly screen for sprinting success is the Reciprocal Ponderal Index. It is simply the height divided by cubed root of weight. Not according to this upcoming research article. They found athletes with a “leanness ratio”, or Reciprocal Ponderal Index, of greater than 44 seemed to be the most successful. Of course they cited Usain Bolt, Christophe Lemaitre, Carl Lewis and Linford Christie. They didn’t quote Andre Cason. So, what is YOUR Reciprocal Ponderal Index? READ How Much Weight Do You Push w/ Push-ups? The other one is the fact that I seriously doubt the ability to dissipate heat due to greater skin surface area is a relevent factor in sprint distances. Long distances maybe, yes, but I suspect it is an invalid point for the sprints. Oh, and BTW, my RPI isn’t much better either: 42.2 :-(. I guess if I’d stayed as non-muscular as I was back in high school, early university, I would have had a 43.7. That’s great though, as I now have scientific backing to explain why I am so much slower than 20 years ago hahahaha. who talks about dissipating heat in this article? Well it was in the link… I do not think that anybody in the world took (even 1″) in consideration this argument of dissipating heat as a performance factor in a sprint race. Still… the only logical connection is the fact that dissipating heat faster allows you to train “harder” or/and longer and subsequently (in their logic), to attain better performances… I think the guy just wanted to help and to give something to the journalist for it’s article. They heard about Johnson, Green, Smith (small stride length :)) and others so I bet they do not believe their words. This is kind of sport eugenicist theory, they do not have a clue and they try to come up with weird staff, eventually achieving supreme authority in athlete conditioning…in order to pump more funds from this huge financial sport industry. The whole speech of this guy is absolutely banal – “Until the last few years, sprinters have been hugely bulky and extremely muscular, even their upper bodies. Over the past ten years, however that seems to have changed with leaner and more angular competitors becoming more successful.” … Hmmm in the past 10 years – in 2002 two bulky guys were dominating the sprint world – Green and Montgomery. “Chelsea Warr, head of athlete development at UK Sport, said that sports coaches have become far more systematic at identifying the attributes that can produce an elite athlete.” – well…so they would never ever recruited LeMaitre :)))… Sorry for that. “thin athletes may have an edge because they are better at dissipating heat from their bodies due to greater skin surface area, which allows their muscles to work harder for longer. They also have greater stride length, he added. ” – no kidding,…really HER professor, they have greater stride length…. Well at the same height a bulky one has bigger skin surface to dissipate heat than a skinny one. 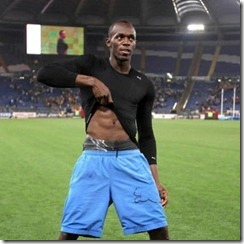 I think scientist will come up with “anything” because they can prove it with Usain Bolt. I’ll bet if he had a mustache, they would think the aerodynamic’s mustache was the reason for success. Remember Mark Spitz in 72? Coaches were rushing to grow mustaches on their athletes to help prevent water from going into the mouth! In 72 I was 9 years old, I remember the MS’s records, but I’ve missed this mustache episode…I have to say that I was barely speaking English at those age. Man this is something… I never heard it. …I do not believe that. Please, show me that Jimson. It has to remain an article about the advantage of the mustache in swimming performance. For those in the metric and US world, 1 stone is the equivalent of 14 lbs or 6.35 Kg. What is the rationale behind dividing the height by CUBED ROOT of weight? Isn’t a much simpler rule the height in centimeters minus 100 (a meter) divided by the weight in kilogrammes? That was used decades before the introduction of the BMI as an indication for leanness: a ratio over one would suggest overweight, depending on one’s body shape. Jim , is the ponderal index equation uses the height in CM or in M , cause you type height in M and write it in CM 183 !! The height is in M which gives 0.41 or 41% as the “index”. I simply used CM which gives an “index” of 41. @John, Scientists will always find the answer once they know what they are looking for. 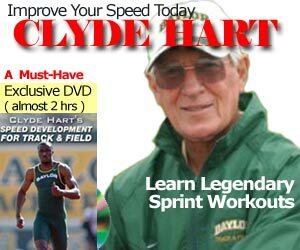 I know several elite sprinters with medium height with an RPI well under 44. This reminded me of a formula proposed by Ingjer (1991) for determining V02max accordingly in X-country skiiers. It appears that the most valid expression of maximal oxygen consumption for XC skiing is achieved by dividing VO2 max by body mass?, since the power needed to ski at a given speed on level terrain does not increase in proportion to bodyweight. When climbing a steep hill, added body mass is a more powerful negative factor. During a downhill it is a plus! If 44 or higher is considered great, what’s poor, average, good very good? Is there a scale for RPI? and i agree with jimson , science sometimes bases findings on very limited numbers ,therefore selecting its findings pending on what they feel the outcomes should be and of course the motivations behind the science. in this case RPI , which is being very selective in its permutations . it would definitely need a larger participation study base. For the record, Yohan Blake is 1.80m X 80kg = RPI 41.77 (well below 44). When (or if?) Yohan wins the Gold, then researchers will find a new test to prove his greatness. Mine was almost exactly 46. That could help explain my good athleticism and running abilities. Pour ceux de la métrique et américain monde, 1 pierre est l’équivalent de 14 lb ou 6,35 kg.